Actors – Dragana Bosnik, Vasil Zafirchev, Talija Nastova, Sasho Dimoski, Maja Liutkov, Faik Mefailovski, Keti Borisovska, Marija Stefanovska, Aleksander Velyanovski. 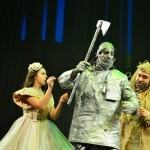 “The Wizzard of Oz” is a children’s play, based on the novel of author L. Frank Baum which was also turned into a world-famous film musical in 1939. 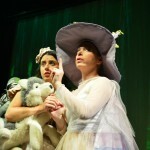 The play is about the adventures of little Dorothy who flies from her home in Kansas to the magical land of Oz. On her way back home, which leads to the Great Wizzard, Dorothy meets her new friends the Scarecrow, the Tin Man, and Lion. 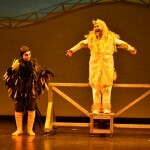 Together they manage to overcome all the obstacles that the evil Witch of the West throws in their path. 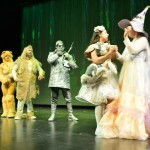 “The Wizzard of Oz” is a play about the universal human virtues – wisdom, the ability to love, and courage.